'Almost Bezel-Free' Redesign for iPad Mini Coming, but Still No Retina Until Early 2014? In the wake of continuing reports suggesting that Apple's Retina iPad mini may not be ready to launch until early next year, Digitimes has now added its thoughts on the matter, claiming that Apple will be releasing a slightly redesigned non-Retina iPad mini later this year before launching the Retina iPad mini early next year. According to the report, the Retina iPad mini will see an "almost bezel-free" design, presumably referring to the sides of the device, which are already fairly narrow. The report is somewhat confusing about just what aspects of the redesign will appear when, also mentioning a lighter and thinner design for the new non-Retina model later this year. Apple is reportedly aiming to use Retina panel technology equipped with 2,048 by 1,536 resolution in the next generation 7.9-inch iPad mini. Apple is also said to be revising the design of the chassis to give the next-generation iPad mini an almost bezel-free look. While the new iPad mini may not be availabe during the year-end shopping season, Apple reportedly may first release a slightly updated version of the current iPad mini in the second half of 2013, which is expected to be lighter, thinner and equipped with improved specifications, the sources said. Digitimes' report is very similar to claims from NPD DisplaySearch analysts, who have flip-flopped several times but now point to a thinner non-Retina iPad mini arriving later this year and a Retina iPad mini following in early 2014. Today's report also reiterates claims that Apple's fifth-generation iPad is on its way with a thinner and lighter design inspired by the iPad mini. Apple's supply chain is reportedly beginning small-scale production on the new iPad this month, ramping up through October. Of course they're not adding Retina to iPad mini this year. That would make absolutely no sense. Apple wants to actually sell their new flagship, redesigned, drool-worthy iPad 5.
iPad mini will get spec-bumped along the iPad 5 release, but thats it. Not that it makes any difference. 99% of iPad mini buyers are buying based on 1) Price, 2) Size. Most of them have no idea what 'Retina Display' even refers to. That's not an insult, it is a market reality. As much as I personally would like a 7" Retina iPad....makes no difference. I would very much like an "almost bezel-free" 9.7" Retina iPad. No retina, no buy, simple as that. I'll keep my current mini until the retina comes. Personally I don't have reason to buy into a new form factor. This makes no sense to me. Why release an updated iPad mini in the fall if a new one will be coming out in early 2014? Unless Apple is moving to 6 month product cycles? That'd look cool, sure. But it'd be uncomfortable as hell to use. The Mini is small enough you can hold it from the bottom or wrap your fingers around it from behind without any issues. But the bigger iPad is (obviously) both larger and heavier. You have to hold it from the sides to get the best grip. If it didn't have a bezel, you wouldn't have a place to rest the edge of your palm when holding it in portrait. 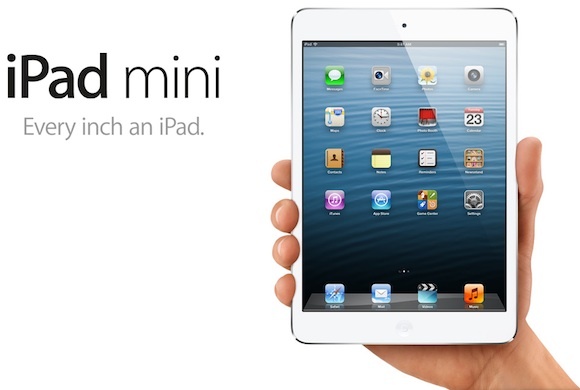 Personally I don't need or want any sort of mini iPad. My current iPad 4 is mainly a couch device at home. Outside I'm satisfied with iPhone 5. As my next iPad I'd actually rather buy a 12" version (Apple can leave the 2048x1536 resolution, PPI will still be very good). Why couldn't Apple have 3 sizes? 8", 10" and 12" (all 3 with the same 2048-by-1536 resolution, not to complicate apps). Meh. All this talk of an imminent non retina iPad mini is leaving a bad taste in my mouth. I bought the mini but sold it because I really wanted a retina display. The size of the mini is perfect I just want a true HD display. not really sure lighter and thinner is neccesary. will probably look really cool though.